How Jupiter retrograde in Sagittarius influences each zodiac sign? The biggest planet of the solar system moves backwards between April 10th and August 11th 2019. Bellow, you can see how you will be influences, depending on your sun sign. Jupiter moves retrograde through your ninth house, astrological house of travel. So, a long trip doesn’t represent a good idea, between April 10th and August 11th. We recommend you short trips, not too far from your domicile. This is a good time to study, but not necessarily to take an exam. The best strategy is to study as much as you can until August 11th. But, then, schedule the exam for the beginning of the autumn, in September. Jupiter retrograde in the ninth house also wants you to improve your long-term strategy. Redefine your goals! Choose some action based goals that are completely under your control. You can choose to do a specific and measurable task every day. Instead, avoid outcome based goals, which are not completely under your control. They are usually focused on the end result and they generate frustration. Having Jupiter retrograde transiting the eighth house, there is a risk for those born under the sign of Taurus to forget the importance of being honest and sincere in their business partnerships. They want to be richer and they are ready to do whatever it takes, in order to win the money they need. But take care! Maybe some unethical and dishonest business practices can help you in the short term, but, in the long run, they bring a high level of stress and some collateral damages. And, when dishonesty is discovered, it ruins your reputation and your business. 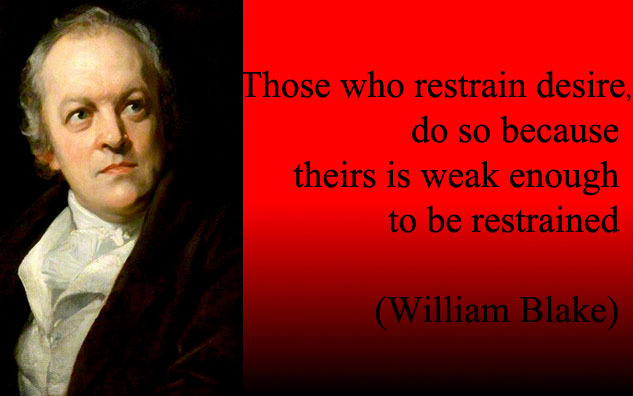 So, it is better to resist temptations and to remain honest. Another question for Taurus: do you have enough time for intimacy? If you build a career, it might be difficult to find some time just for you and your partner. Similarly, if you are a parent of a small child. But you need this time, to keep your relationship hot. You always can hire a babysitter or ask some friends or relatives to take the kids to zoo or to the movies. Scheduling one-on-one intimate times on a regular basis is essential, for your couple. When Jupiter is retrograde in the seventh house, it may be difficult to maintain balance in your relationship. Feeling like you are giving more than your partner is bad news for a relationship. So is feeling that you are receiving more than your partner, even if, at the beginning, this second situation may seem more comfortable. Once the balance between give and take is broken, difficulties arise. In order to avoid this, you and your partner need, in the first place, to make time for each other. Next time when you neglect him/her and you prefer spending time with your friends or working after hours, be mindful of your spouse’s importance to you! I bet he or she is more important than drinking beer with friends or making your boss happy. You need to know how and when to say no to your friends and bosses. Instead, start to say yes to your partner! When it is direct, Jupiter helps us to identify and to exploit opportunities. 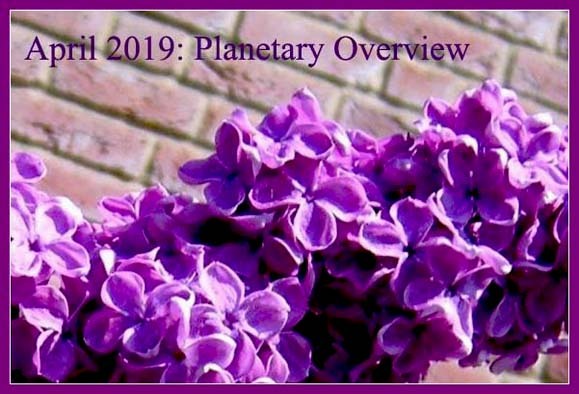 But, when Jupiter is moving backward (like between April 10th and August 11th, in 2019), the planet turns its energy of expansion inwards. During this period of time, inner growth becomes more important than ever. During this retrograde motion of Jupiter, a Cancer employee or entrepreneur has to discover practical ways to improve him, professionally. This involves, most of the time, getting out of the comfort zone. 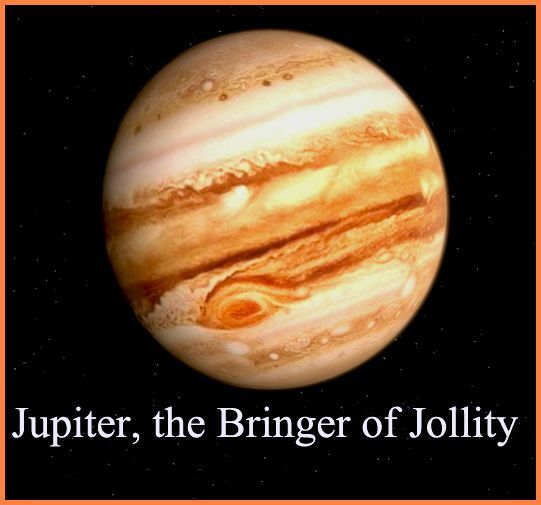 And the results will not occur overnight – actually, they will not occur until Jupiter goes direct again, in August. But this inner struggle and the effort made during Jupiter retrograde will be rewarded professionally, between August 11th and December 2nd. But, sometimes, many partners are too many. Even if you are young and you want to experience everything, you will discover that, in love as in any other field, quality beats quantity. A true and deep, meaningful love will help you to grow and to discover yourself more than ten or twelve one night stands or no string attached relationships. Too many lovers mean too little real love! The fourth house rules our ancestry, heritage and roots. Maybe this is a good time to trace your family tree. You’ll discover that it’s fascinating to know who your ancestors were, to discover your family history. So, you’ll find out if and how your ancestors really affect who you are today. Keep relationship healthy within your family! It is not difficult; you only need to get involved and to take simple actions. Once you get home, ask your family members how their days were. Share a story from your own day with them. eat together! Develop some family rituals, like going bowling together once a month or playing board games. Isn’t so difficult, isn’t it? Jupiter Retrograde for Libra – Use Storytelling! The third astrological house rules communication. Improving communication skills is a must for Libras, when Jupiter moves backwards. We advise you to use storytelling. We grew up with stories: fairy tales at bed time and family stories around the dinner table. Stories invoke our emotions and inspire us. We communicate best through stories. So, each Libra needs to learn how to communicate his story and to make it unique. Jupiter Retrograde for Scorpio – Avoid Overspending! We have already seen that Jupiter in the second house brings prosperity, for Scorpios. There is only one risk, when you start making a lot of money: you are inclined to spend a lot, as well. If you can control yourself from buying things you really don’t need, 2019 will be a great year, financially speaking! The greatest risk of overspending is between April 10th and August 11th, when Jupiter moves backward. So, don’t go to stores without a shopping list. And don’t buy things just because they are on sale! Make price comparisons before buying expensive things and get used to deliberate and to wait before buying! Those tips will help you to survive to Jupiter retrograde in the second house. On the other hand, this position is the proper time to find out ways to make yourself even better at your job. Analyse your work style and you will surely discover that there is place for improvement. Jupiter transits your first astrological house. This is always good news. But what happens when the planets moves backwards? Take care of your body! This is the first commandment, when Jupiter transits your first astrological house. Philosophy isn’t necessary – there are some important things you can do for your health. Be physically active! Exercise for at least 20 minutes, three times a week. Eat fruits and vegetables each day! Don’t smoke and don’t drink alcohol to excess! Get enough and good sleep! Get a new look may also be an option. Maybe you will change your wardrobe. Or you will invest more in accessories that will provide you a great way to mix and match outfits. Changing your hairstyle is another option. In December 2019, Jupiter enters Capricorn. Until then, it transits your natal 12th astrological house. When Jupiter moves backwards, it is important to know how to keep a secret. Betraying someone’s trust could damage your relationship with the person who told you her secret. Keeping your own secret is also difficult. For example, you should be capable to avoid the secret. Do not bring up the topic to anyone! When necessary, change the topic of conversation. If someone asks you directly, pretend you don’t know anything. Lie, if you have to! Jupiter in the 12th house also helps you to expand your consciousness. For example, meditation opens up a direct link between yourself and the higher realms of consciousness. Try it! Most Aquarius men and women have many friends. They enjoy team work and group activities, including having fun together. But, when Jupiter retrogrades in the 11th house, friendship problems may appear: broken promises or the feeling of being left-out. When this happens, you need to identify the exact problem. Then, have a look from your friend’s perspective. Also help him to understand your own perspective. Always tell your friend the truth. Then, see how things evolve. Jupiter also helps you to think about your personal freedom. For example, are you satisfied with how you allow yourself to express yourself? Or are you constantly looking for people’s approval? During these four months, those born under the sign of Pisces have to improve their professional skills, in order to fulfil their projects and their professional goals. Pisces employees discover that they need to complete their studies and to expand their knowledge. So, between April 10th and August 18th it is a good time to take some college courses online, to participate in conferences and workshops, to read more (remember that all the billionaires are doing it!) and to try to become the best in your domain of expertise. In just two words: self-improvement. Or, if you like it better, call it personal development. Then, you will be able to create new goals for yourself, that are bigger and more daring than you would have previously thought possible. 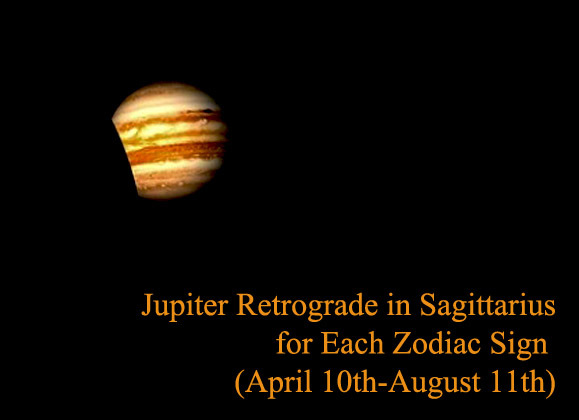 Share the post "Jupiter Retrograde in Sagittarius for Each Zodiac Sign (April 10th-August 11th)"